When will be The Court next episode air date? Is The Court renewed or cancelled? Where to countdown The Court air dates? Is The Court worth watching? Kate Nolan (played by Sally Field), is the newest Justice to the U.S. Supreme Court. She is a hardnosed judge who has to carefully steer through all the conservative and liberal groups of her new colleagues. In addition she must learn to deal and learn to trust the new gifted young clerks that have been assigned to her. 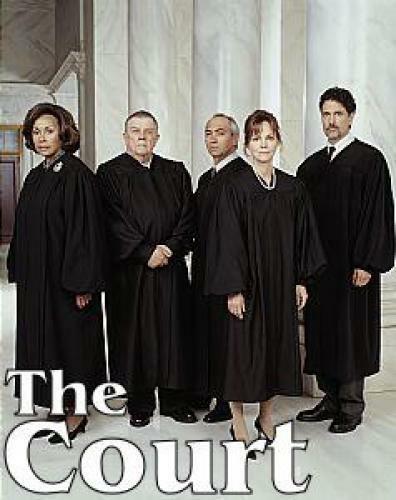 While Justice Nolan struggles within the halls of the Supreme Court, an aggressive television reporter, Harlan Brandt (played by Craig Bierko), and his eager, young production assistant, Betsy Tyler (played by Christina Hendricks), work from outside, dedicated to putting a face on the work of the court. But Brandt's fast-paced, deadline-driven world is often at odds with the sanctity of the very institution he covers. The Court also stars Pat Hingle as Chief Justice Townsend, Miguel Sandoval as Justice Martinez and Chris Sarandon as Justice Voorhees. Diahann Carroll makes a special guest appearance as Justice Desett. Appearing as the Justices' clerks are Nicole DeHuff as Alexis, Hill Harper as Christopher and Josh Radnor as Dylan. Productions in association with Warner Bros. Television. EpisoDate.com is your TV show guide to Countdown The Court Episode Air Dates and to stay in touch with The Court next episode Air Date and your others favorite TV Shows. Add the shows you like to a "Watchlist" and let the site take it from there.